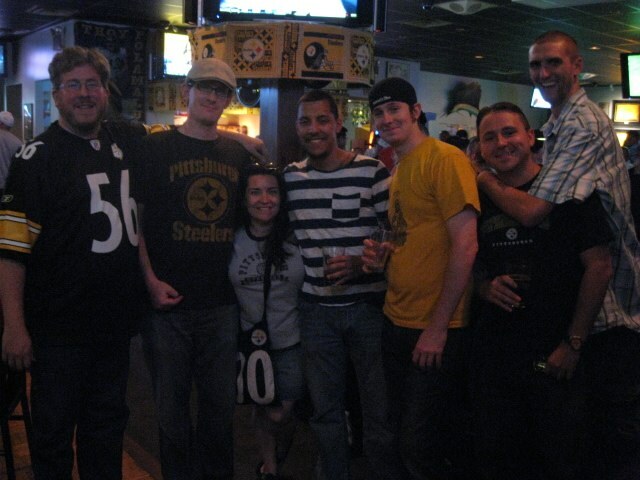 Hanging out at Sharky’s after a Steelers training camp inter-squad scrimmage. Left to Right: Keith (@TheLegendofVinnyT), Bryan, me, Nic (@PSAMP) from Pittsburgh Sports and Mini-Ponies, Cotter (@OFTOT) from One For the Other Thumb, Stan (@usbzoso) from Penshead, and Mike (@FSMikey) from the KISS-FM Morning Freak Show. 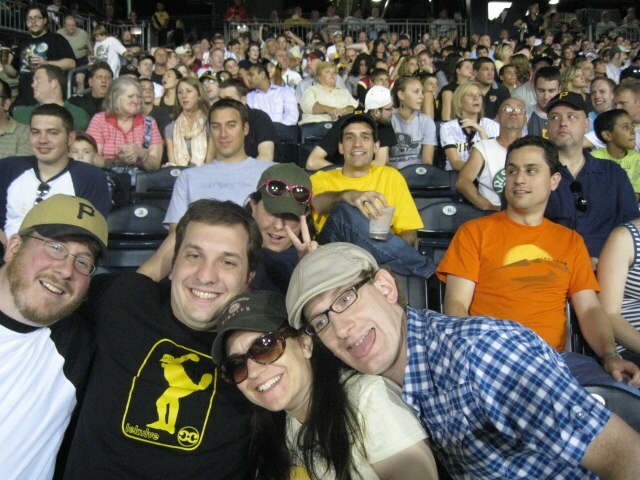 TSW HQ is on the road the week, so I’ve had a chance to hang out with some of our Steeler-fans only fantasy football league THUNDERDOME crew at both training camp and at a Pirates game as a part of Walk of Walk’s annual HEIST outing. Left to right, Keith, Pat (@WHYGAVS) from Where Have You Gone, Andy Van Slyke? and Bryan. Seen in the background, Heist/Walk of Walk host Rob Iracane, Phil, Clare, Brian K. and Eric. More on training camp once we’re done with our East Coast tour. I only took about 1000 pictures of Dennis Dixon, I swear.